This clicker features mirror-finished ridges that house a bold recessed zigzag pattern with precise angular cuts create balance and shine for a modern design! Part of the Tether Noachis Terra 2018 collection, the Pulse represents the rhythmic electric current that runs through any life form, connected together to make a series of pulses . 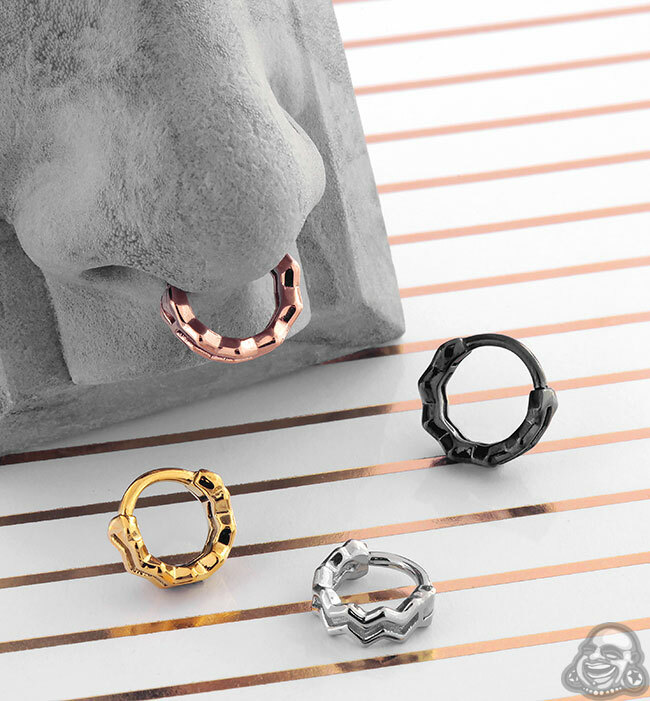 The Pulse design is available in solid stainless steel, gold plated stainless steel, or high quality PVD plated black stainless steel.